Ryan Roofing of Rochester is Minnesota’s best choice for Roofing Contractors, Roof Replacement, Roofing Supplies, Roof Installation, Roofing Estimates, Roof Repair and more. Talk to one of our roofing contractors and schedule your free estimate today. Ryan Roofing of Rochester Minnesota is the area’s largest most trusted Roofing authority. Ryan Roofing of Rochester is experienced in Roof Replacement, Shingle Installation, Storm Damage Repair, Shingle tear-off, Roof Snow and Ice Removal and more. All of our consultants are factory trained in today’s top installation methods and certifications. Ryan Roofing is a factory certified seller of top roofing brands like CertainTeed, GAF and Malarkey. Every Roof installed by Ryan Roofing is coupled with an extended shingle warranty, and checked with factory set guidelines verifying quality and expert craftsmanship. We require all of our roofing contractors to go through factory certification and training. We sell shingles and roofing solutions that will meet any budget or need. Having served the Rochester and surrounding Minnesota area for years, Ryan Roofing is the best choice for any roofing job. 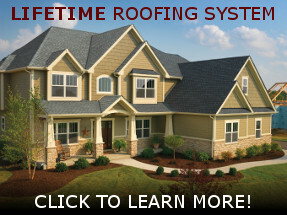 FREE Estimate from the Leading Roofing Company in Rochester, MN!